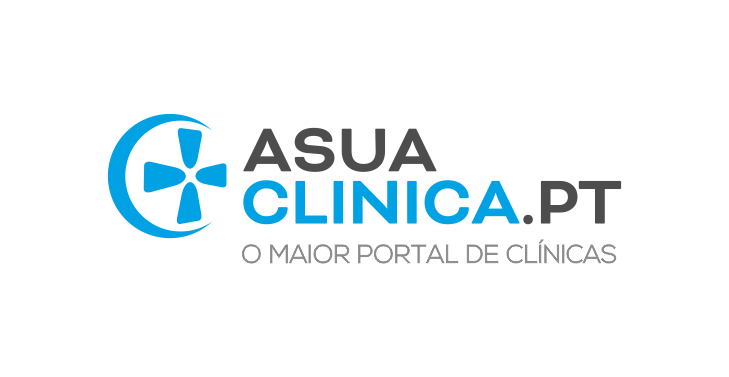 Por vezes esquecemo-nos de realizar o exame da cabeça e pescoço, temos muitos pacientes, estamos atrasados, o paciente vem regularmente… Estas desculpas têm de parar e este exame, apesar de simples, é muito importante e só nos leva cerca de 5-7minutos. The head and neck exam: Only 25% of dental hygienists provide the service. Why? Linda is a 56-year-old woman who is healthy and vibrant, and who works for a local contractor as a bookkeeper. She’s a mother of three grown children, a grandmother to two, and her favorite pastime is cooking. Linda comes in every six months for a dental cleaning and exam. Her health history in unremarkable; her dental history is the same. She exercises every day with yoga and Pilates. Dentistry and medicine often run along parallel paths, both forgetting that what happens in the body can manifest signs and symptoms in the mouth and vice versa. This type of phone call has happened to me three times during my career. The other two calls were from a 21-year-old man with early stage oral cancer from chewing tobacco, and another from a middle-aged woman with thyroid cancer. I am passionate about the head and neck exam being an integral part of the patient appointment because I too am a cancer survivor. But recent statistics show that only 25% of dental hygienists are performing such a service. Why? So let’s overcome the objections. A head and neck exam takes about four to five minutes. A perfect time to perform the exam is once a patient has been seated and his or her medical and dental history has been updated. While the patient is facing you, ask permission. “Mr. Johnson, is it okay if I perform a head and neck examination?” If given the go-ahead, explain everything that you’re doing and why you’re doing it. “The reason for checking today is to evaluate for head and neck cancers, any lumps or bumps that haven’t gone away, to evaluate your thyroid, and to perform an oral cancer screening.” I have yet to have anyone stop me, and if anything, they thank me! It’s important to note any findings and to detail those findings (description, size, color) in your documentation and also to advise the patient. When advising the patient, it’s important not to scare the person but to let him or her know what you’re seeing. Some hygienists are comfortable broaching the subject and some would rather their doctor do so. If you’re taking the lead, it’s important that the patient is given information about who to see, and make sure the patient has intraoral photos and a follow-up date (preferably two weeks) to come back and see you or the dentist for any follow-up questions, observations, etc. The examination may feel overwhelming. Some might say, “I’m not a doctor and I’m not qualified!” But this is part of providing a service where we’re doing due diligence on behalf of the patient. As a hygienist, it’s okay to feel vulnerable and to question what you’re looking at. I remember one time early in my career, I noticed a strange spot on the side of a patient’s tongue. When I asked the dentist to observe, he laughed. “The patient has a simple case of popcornitis!” A popcorn kernel had gotten stuck on the tongue, and the kernel appeared to look like leukoplakia. We’re not always going to get it right! In those moments, you have to laugh. But again, we’re looking out for our patients’ best interests, for their health and well-being. Whether insurance pays for the screening is a moot point. The head and neck exam should be done as an integral and ethical part of practicing dentistry. It should be viewed the same way as weight measurement at the doctor’s office. It is a standard of care and it should be treated as such. Training, whether through a lunch ‘n’ learn or a CE course, is a great way to get hands-on experience. When I started my career, my children were my best test subjects as I practiced head and neck screenings on them. For those of you who have been at a practice for a while and want to start this standard of care, you can integrate it into practice by telling patients that new implementations are taking place to ensure a better experience and health outcome. Statistically, the HPV virus, oral strain, is enough to keep us on our toes for implementing such a standard of care. Talk to your coworkers, encourage a new standard, and be a hero! Suzanne Hubbard, RDH, owns a low-income clinic, Hubbard Family Dental Clinic, in Greeley, Colorado. While facing the patient, ask if they’ve noticed any lumps or bumps that haven’t gone away. 1. Check the patient’s eyes. 2. View the nose and mouth. 3. In a clockwise motion of the face, visually look at all the freckles and moles. 4. Drop down to the thyroid and palpate the thyroid lightly with the thumb, index finger, and middle finger. Hold fingers lightly and have the patient swallow. 5. With both hands on either side of the neck, palpate the cervical chain of lymph nodes. 6. Palpate the back of the neck with both hands. 7. With women, ask permission to palpate along the clavicle (above and below). Many times lymph node development there is a precursor to breast cancer. 8. Place both hands with emphasis on the middle fingers close to the ears and have the patient open and close slowly twice. 9. Have the patient open and close once again while smiling to observe how teeth occlude. 1. Place the patient in a supine position. 2. While facing the patient, have him or her open wide and observe all the oral tissues, gently pulling back the lips. 3. With a wetted, folded, two-by-two, have the patient stick out his or her tongue. Gently grab the tongue and observe, side to side. 4. Have the patient place the tongue to the roof of his or her mouth. With an index finger sweep the floor of the mouth gently. 5. Have the patient say “Awww” and observe the tonsils and back of the throat. 6. Have the patient tilt the head back to observe the soft and hard palate. 7. Check the hard tissues as they relate to soft tissues for any changes, operculum, recent extractions, fistula tracts, exudate, etc.